Members of the National Animal Supplement Council are concerned and committed manufacturers of animal health supplements across the globe. Together they endeavor to improve the quality of these products sold to consumers for the benefit of their horses, cats, dogs and other companion animals. 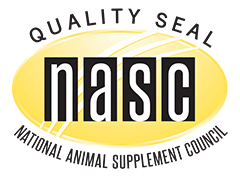 NASC’s overriding goal is to promote the health and well-being of non-human food chain animals that are given animal health supplements by their owners, and to protect and enhance the integrity of the animal health product industry. Learn how our organization is dedicated to protecting and enhancing the health of companion animals and horses throughout the United States by establishing federal and state regulations. During the past 10 years, our achievements have been significant. Discover the impact NASC has had on animal health through our partnerships, resources and quality standards. Get to know our Board of Directors! Our board represents a variety of backgrounds and expertise brought together by their passion for the betterment and well being of all animals. Get in contact with someone from the Executive, Media, Political Action, Regulatory Affairs, Audit, Education and Outreach, or Preferred Vendor Program committees. Register to become an NASC Member. Discover the benefits of becoming a member as a supplier, retailer or pet lover!